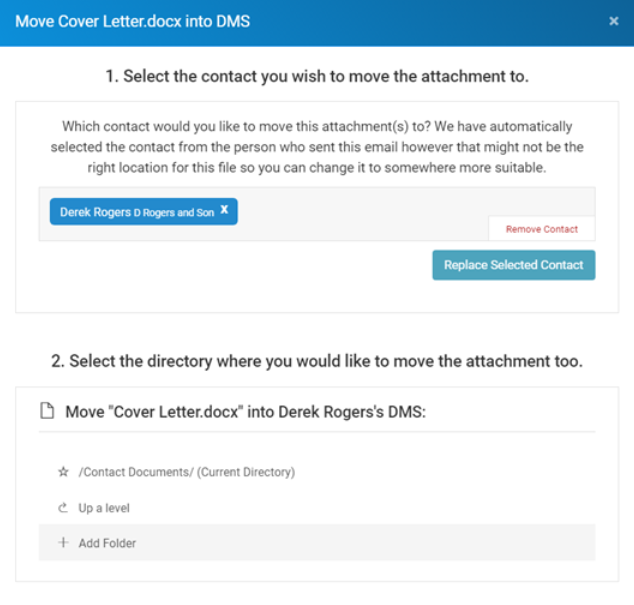 Attachments received via email can be easily moved into new or existing folders within a contact’s Document Storage area. 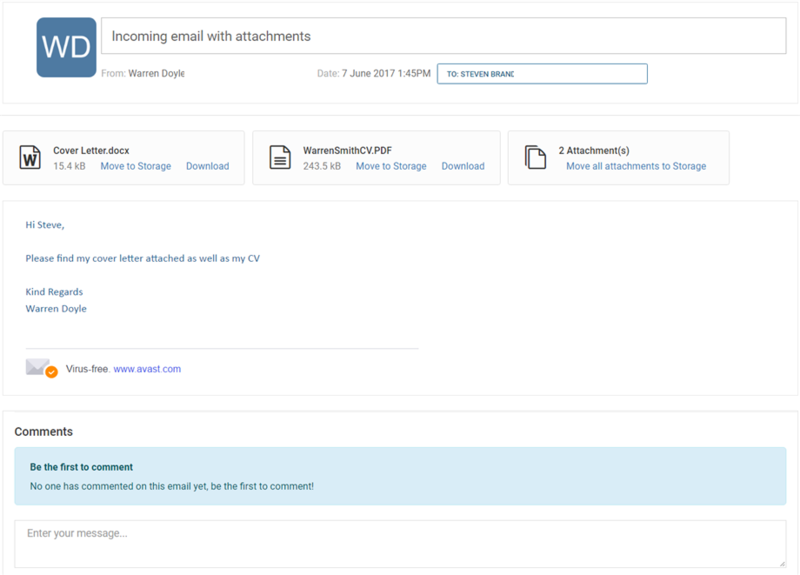 Attachments as shown in the image below can be moved to document storage either one attachment at a time or all at the same time. You can create a new folder if required to copy the attachment to by selecting the 'create folder' option on this screen. 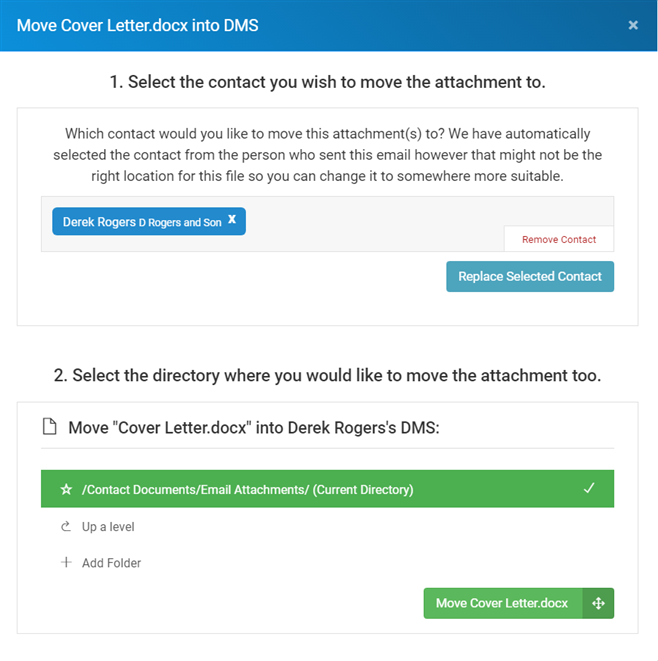 Select which folder that you wish to move the attachment to and select the ‘move attachment’ folder in the bottom right. The attached files will then show up in the relevant folder and can be edited, downloaded etc as described in the Document Management System guide.